Doyle and Emlaw bring the good old days back with a week of vintage mayhem. Photo by Zoi Kilakos. 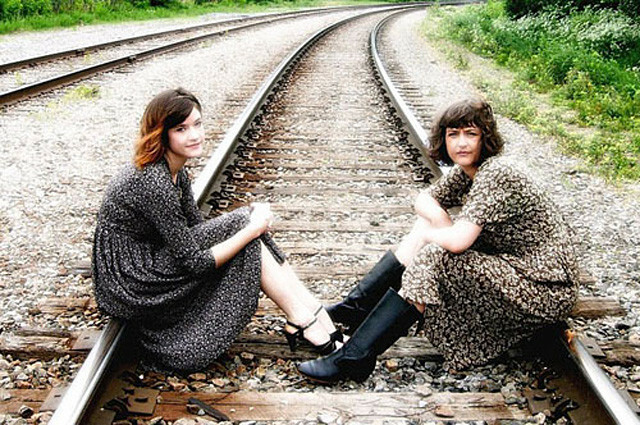 Vintage has become more than just a style for Brooke Doyle and Becky Emlaw. What many fashion-savvy people consider a hobby has become these ladies’ livelihoods. They call their pop-up shop, Vintage to Go, a “guerilla boutique.” After amassing a carefully selected collection of vintage treasures in their studio space, Doyle and Emlaw will annex the OFF Interarts not-for-profit studio and storefront space on St. Laurent Boulevard in the Mile-End. This multi-purpose space is affordable and open to the arts community for hourly, daily, or weeklong rentals. For the week of June 17, the ladies of Vintage to Go will be turning the studio into a boutique to purge their treasure-trove for the enjoyment of all of Montreal’s vintage lovers. An adept bargain-hunter, Doyle emphasizes the importance—and fun—of haggling when shopping for anything second-hand. “I love the art of bargaining, I really get a kick out of it. It’s about knowing what something’s worth,” she says. Of course, certain eras are known for certain styles, and a skilled vintage hunter knows which ones to look for. “For women’s dresses, I love the 50s and the 80s. For men’s shoes, I love the 40s and 50s. For secretary-style blouses–those are really big right now–those come from the 70s. It really depends on the article of clothing to determine which year is really special for that particular kind of item,” she explains. Seven Days of Vintage Sale happens from June 17 to June 23 at 5143/45 Blvd. Saint-Laurent. The opening party is on June 17 from 7 p.m. to 12 a.m. There will be a cash bar and music by Dj Mitz and Dj Aaron Nathaniel Standen.